It’s hard to believe summer is almost over. School starts back next week for us and we are ready for some routine. That said, we have had an awesome time making family memories over the past few months. Partially because of my work with Breyers and our general love for sweet treats, ice cream has been a big theme this summer. 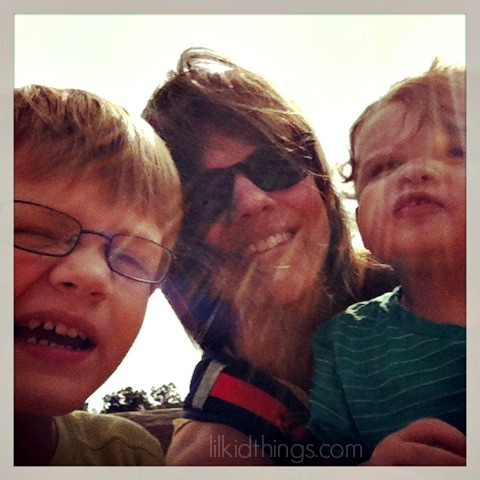 Today, thanks to the creativity of my friend Erin of A Parenting Production, the boys and I had an adventure! Erin learned about a dairy farm about an hour and a half from here so after breakfast this morning, we packed up and hopped in the van armed with games, snacks and music for the long drive to meet up with our friends. 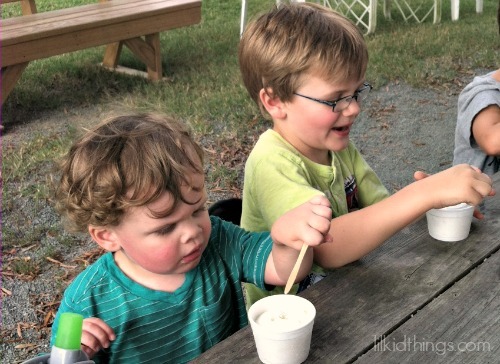 We love ice cream so why not teach the boys where it comes from? They are really getting to the age where they are listening more and absorbing information on our outings and it has been so fun to watch! We arrived at Homeland Creamery and paid for our tour tickets ($6/person age 2 and up). We listened to our guide explain the rules and hopped on a big tractor trailer for a hayride through the farm. We saw plenty of (pregnant!) 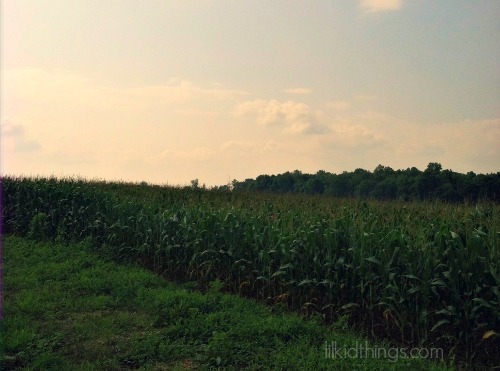 cows, beautiful fields full of corn and soybean crops and learned a few things along the way. Calvin didn’t like it when the tractor stopped and he couldn’t get down, but otherwise it was great! 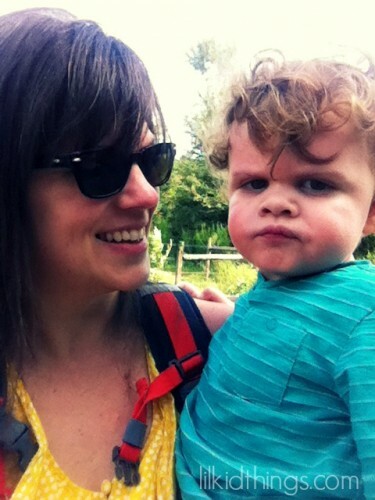 Oscar had fun with his buddy Aiden and it was a beautiful day to be outside. Cal wasn’t a fan of being contained while the tractor stopped or turned around, but he rallied. When we got back from our hayride, the kids all got to take turns feeding a calf, “milk” a cow (it was fake) and even pet a calf! There were a few chickens running around so instead of taking any usable pictures of the animals, I was chasing Calvin around to make sure he didn’t actually catch a chicken (he came prettttty close). Of course the main attraction was sampling some of the delicious ice cream and it did not disappoint. We sat at the picnic tables and enjoyed our treat before coming home. If ice cream isn’t your thing (gasp), they also sell milk, chocolate milk, butter and meats. 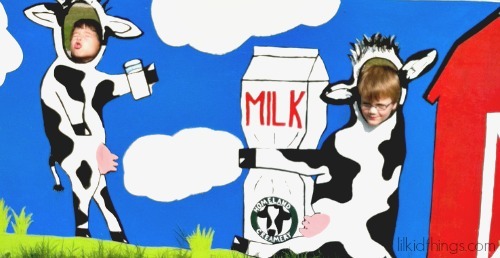 If you are in the Raleigh/Durham area, the Homeland Creamery is a wonderful way to spend a morning with your kids! Not local? Get your Ice Cream fix with Breyers! I know not everyone is lucky enough to have a dairy farm within reach. If you are craving ice cream now, make sure you head over to the Breyer’s Facebook page and enter to win a year’s supply of Breyers! Oh yes. From now through September 23, families nationwide are encouraged to submit their delicious moments – a sundae creation, favorite flavor or even a fun family photo – to Facebook.com/Breyers. One lucky winner will be showcased within the Winner’s Gallery each week and will receive exciting prizes, such as a tablet and a year’s supply of Breyers. 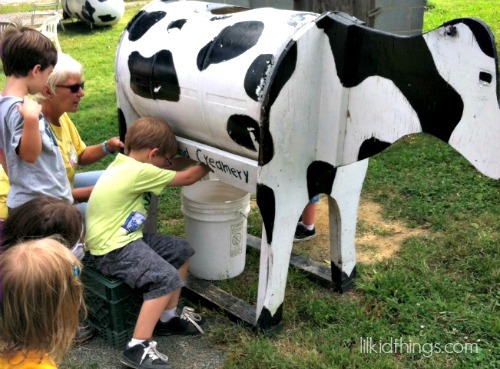 Have you ever been to a dairy farm? 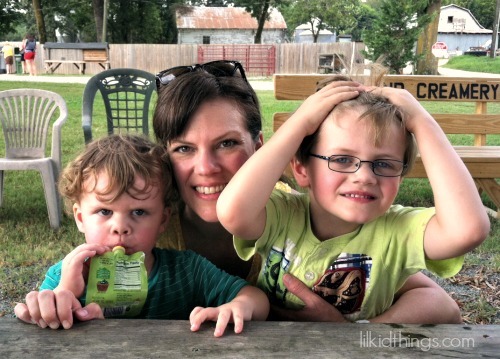 *This post was created in connection with my appointment as an Ambassador in the Breyers Blogger Program. Visit www.facebook.com/breyers to join the conversation. A huge thanks Breyers for sponsoring a series of posts this summer! Looks like a fun day. Wish I could have been with you guys! 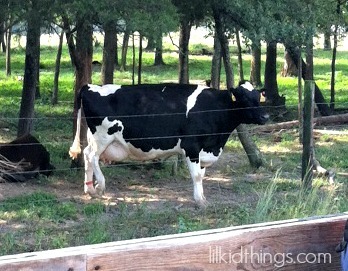 How wonderful…we’re going to take Erika to a dairy farm too..she is obsessed with that song! We have a dairy near us. It looks like you had as much time visiting one as we do.